Emmanuel is proud to host the Croydon Churches Floating Shelter for the homeless on Tuesday nights between January and March each year. 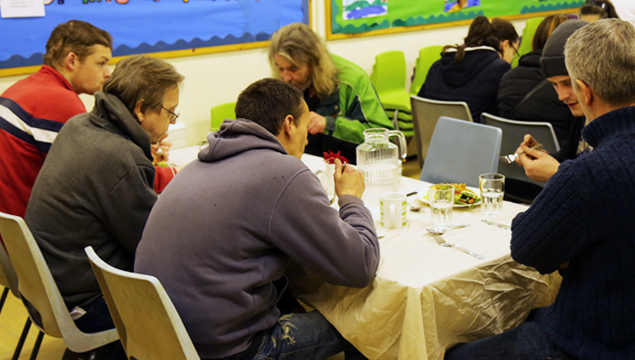 Each Tuesday evening we are able to offer homeless people in our community friendship, a warm meal, a safe warm and dry place to sleep, shower facilities and a chance to chat and be heard. cooking breakfast in the morning. If you would like to find out more how you can support and get involved with the shelter, please contact the Church office or speak with Sally Bruce, Chris (Trolley) Wilson or Liz David.